Unitarian Universalism is a liberal religious tradition that was formed from the consolidation of two different religions — Unitarianism and Universalism. Both began in Europe 400+ years ago. In America, the Universalist Church of America was founded in 1793, and the American Unitarian Association, in 1825. In 1961 these faiths consolidated into the Unitarian Universalist Association (UUA), of which our church is a member congregation. Both religions have long histories and have contributed important theological concepts that remain central to Unitarian Universalism. Originally, all Unitarians were Christians who did not believe in the Holy Trinity of God (Father, Son, and Holy Ghost), but in the unity, or single aspect, of God. Later, Unitarian beliefs stressed the importance of rational thinking, a direct relationship with God, and the humanity of Jesus. Universalism emerged as a Christian denomination with a central belief in universal salvation — that is, that all people will eventually be reconciled with God. 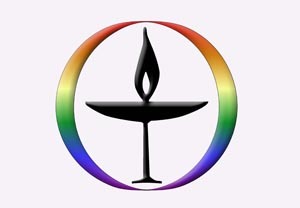 The Unitarian Universalist Church of Columbia, Missouri, is a member congregation of the Unitarian Universalist Association, headquartered in Boston. 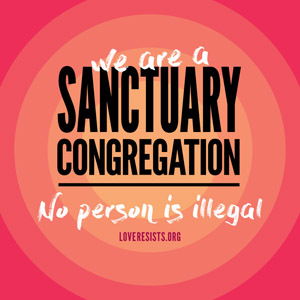 Each of the more than 1,000 Unitarian Universalist congregations in the United States, Canada, and overseas are democratic in polity and operation — that is, they govern themselves – and the UUA provides services that individual congregations cannot provide for themselves. The UUA conducts an annual General Assembly at different locations around the country. The UUA publishes a monthly online Congregational Bulletin providing news and articles of interest to UUs. The UUA also hosts a number of email groups (listservs) on a variety of topics of interest to Unitarian Universalists. You can review the available email groups and sign up for those that interest you here. Unitarian Universalist congregations are associated with one of the UUA’s regions or districts. Our church is in the MidAmerica Region, headquartered in Roseville, Minn. The MidAmerica Region includes nearly 200 UU congregations in parts or all of these states: Illinois, Wisconsin, Indiana, Michigan, Missouri, Kentucky, Ohio, North Dakota, South Dakota, Minnesota, Iowa, Kansas, and Nebraska. The MidAmerica region conducts an annual Regional Assembly.